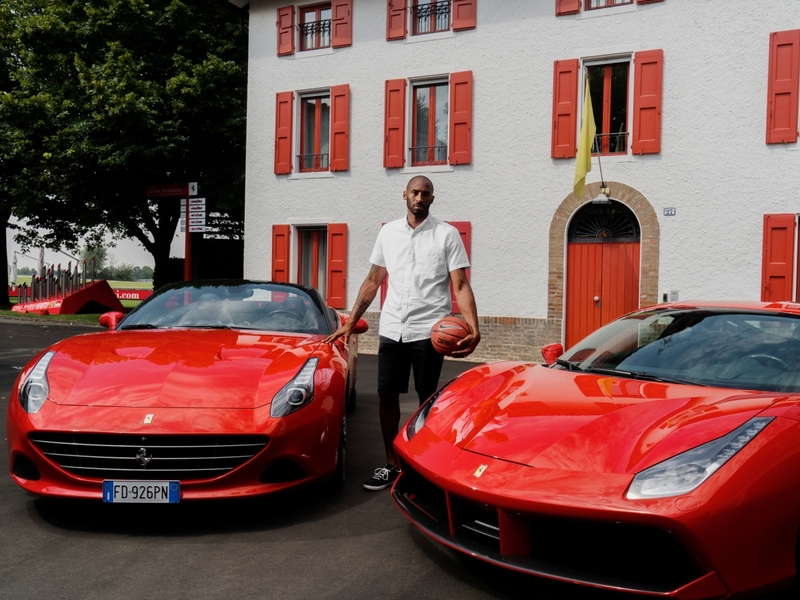 Kobe Bryant, the 20 year Laker Veteran recently took a trip to Maranello, Italy to test out some of the finest European supercars Ferrari has to offer. Hitting the track in the all new Ferrari F12 TDF and heard screaming down the skinny roads of Maranello int GTC 4 Lusso, and later photographed outs ide the office of Enzo Ferrari, a classic picture of a legend with a legend. Also visiting the factory, Kobe showed interest in the manufacturing, personalities, as well as behind the scenes look at the designing and a walk through the history of Ferrari. 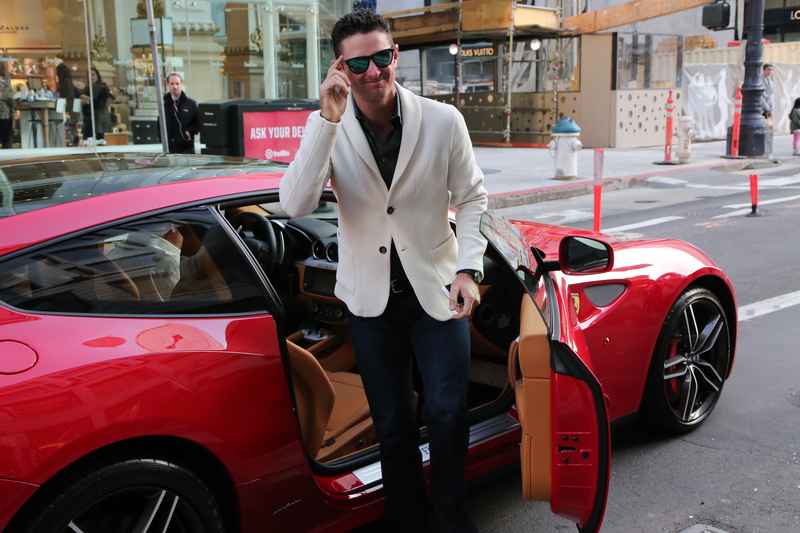 Spotted exiting Kobe’s Ferrari was PGA Star Justin Rose with a big smile most likely from the exhilarating ride, or that’s what we would like to think. 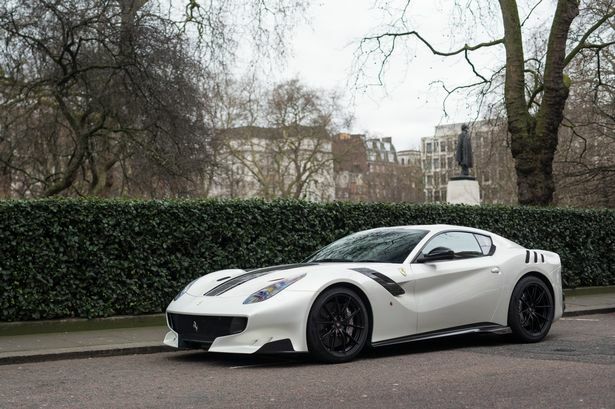 Many legendary celebrities share the immense faith in the 77-year-old Luxury Supercar maker, including Scottish-born, 16 Michelin Star winner, and TV personality Gordon Ramsay who recently purchased the sleek new 816,000 F12 TDF, and also recently Purchased LaFerrari, you can see, once you have one Ferrari, you have to have them all. However the largest Ferrari Collector I know does not want to be named but will allow me to say he has more than any Celebrity, according to his research, which just goes to show that you don’t have to be a Celebrity to own a Ferrari. When driving Ferrari’s, I too get the feeling that this car belongs to me and that everyone should own one, their sleek interior and iconic sound is impossible to say no to.